ENTER Europe is an on-going training program that, in its first year, targeted financiers from outside the film industry to educate them about investing in the film industry. In its second year, the program will be open to all lenders and financiers (including those already working in the film industry) and will focus on educating them about investing in the audiovisual industry as a whole including films and video games. Supported by the MEDIA Programme of the European Commission, co-financing and co-hosting partners have included the Apulia Film Commission, La Plaine Commune Grand Paris, Le Pôle Média Grand Paris, and Media Deals. The primary aim of the training is to provide capacity-building to better enable the utilization of financing tools available for the content industry. ENTER targets the knowledge gap that prevents financing professionals in the European a/v industry from making more informed decisions and risk assessment, related to equity investment or general project- and due diligence assessments. • targeted on-side, short-term training workshops, including 3 modules: a workshop focussing on film financing, a workshop focusing on new media financing, a networking event in the framework of the Film London Production Finance Market (PFM). eye on current changes in the financing landscape due to the financial crisis and the new Multi-annual financial framework by bringing selected financiers together with a/v industry experts to stimulate collaboration. Continuing its long relationship with Film London, peacefulfish’s Brussels office was contracted to provide strategic support on EU policy including research on EU developments related to Film London’s core objectives as well as lobbying by peacefulfish on behalf of Film London with a range of contacts within the European Commission. Film London’s aim is to increase its profile at the European level as well as to develop more European projects in which they participate as a key partner. As a follow-up to the strategic study on the strengthening of the Estonian film industry that peacefulfish carried out for the Estonian Film Foundation in 2007, this study focused specifically on the creation of financial incentives to support filmmaking in Estonia. A series of interviews with Estonian producers and professionals in film, TV, and commercials was conducted as well as interviews with non-Estonian producers and film professionals from the UK, Finland, Russia, Latvia, and Sweden. This was complemented by an analysis of relevant literature related to existing and comparable incentives and included a SWOT (Strengths, Weaknesses, Opportunities, and Threats) analysis focused on the creation of such incentives in Estonia. Eurimages, the cultural support fund for the Council Of Europe, contracted peacefulfish to carry out a study on a prospective distribution support program. The study provided a current overview of trends in distribution strategies for European films in Eurimages member countries that are non-MEDIA recipients (i.e. Turkey, Georgia, Russia, Albania, Macedonia, and Serbia). The aim of the study was to establish a better understanding of the distributors’ needs as well as to recommend possible changes to be made to improve Eurimages distribution support. Desktop research, telephone interviews, and face-to-face interviews in Turkey and Moscow with distributors, sales agents, public institutions, industry consultants, and film producers provided the data for the study, which concluded with a set of recommendations focused on how Eurimage could improve distribution support for these countries. Following this, Eurimages launched a new program for distribution support in 2013. The Croatian Audiovisual Centre contracted peacefulfish to carry out an advisory study on the introduction of a film tax credit in Croatia. Through qualitative research including interviews with local and international film industry players, the study analyzed comparable tax incentives as well as the current state of the Croatian film industry to demonstrate the potential impact a tax incentive could have on filmmaking in Croatia. The study concluded with a set of recommendations that the Audiovisual Centre could use as guidelines for implementing their tax credit. Launched in December 2011, the 3D Content Financing Market (3DFM) is an annual co-production market for Stereo-3D (S-3D) content held in Liege, Belgium during the 3D Stereo Media Festival. Contracted by the TWIST Cluster and later by the festival itself, peacefulfish advises on and co-organizes the market including the call for applications from international producers, the selection of projects, and the invitation of the financiers (investors, sales companies, distributors, post houses, etc.) who evaluate the project pitches. peacefulfish also mapped out the concept of the market with TWIST and prepared the initial application for funding for the market from the MEDIA Programme of the European Commission, which was awarded in 2011 and 2012. 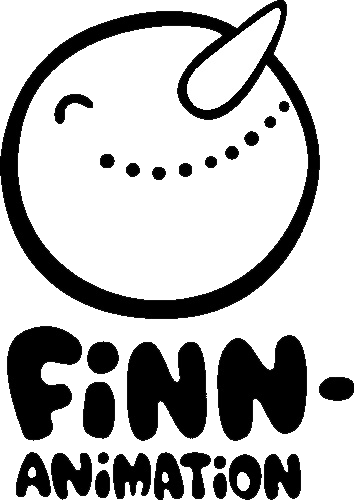 Finnanimation, which is the Animation Producer’s Association in Finland, commissioned peacefulfish to give a tailor-made business plan seminar for animation producers. The focus of the seminar was on how to research and write project business plans as well as company business plans in order to optimize access to both public funding and private equity investment for animation companies. The differences between project funding and company financing were addressed and Finnish investors were also present at the seminar, both to give their input and to network with the participating producers. peacefulfish implements a variety of projects and nurtures contacts with audiovisual and creative industry stakeholders beyond Europe. Our cooperation seeks to enhance and exchange expertise and capacity building for professionals and policy-makers in the audiovisual- and culture and creative industry for Europe and third-countries to mutual benefit. In 2010 peacefulfish compiled a report for the Film Commission Abu Dhabi, analysing opportunities for Abu Dhabi in engaging with/ entering in the European audiovisual industry. The report focuses mainly on the 5 key European territories: France, Germany, United Kingdom, Italy and Spain. It provided an analysis of the structures and interactions of the European audiovisual landscape, as well as possibly funding opportunities, funds, funding schemes and feasible partnerships for audiovisual productions from non-EU countries. 2011 the European Commission launched the Media Production Guarantee Fund (MPGF) to support SMEs in the audiovisual sector to access private sources of financing. The European Commission supports the European audiovisual sector through support schemes, such as the MEDIA programme. Given the undercapitalisation of the sector and its structural deficiencies, audiovisual producers face increasing problems to access bank credits. To counteract this situation, in 2011 the European Commission launched the Media Production Guarantee Fund (MPGF) to support SMEs in the audiovisual sector to access private sources of financing. This Fund was seen as the most appropriate means, following the recommendations of the commissioned “Study on the Role of Banks in the European Film Industry” (peacefulfish, 2008). The MPGF provides third party guarantees by means of a fund with expertise in the film industry. Producers can apply directly or through their local bank, where the MPGF improves the negotiation position of the producers with the local banks and offers flexible partnerships. AUDIOVISUAL, S.G.R. (as well as IFCIC, France) has been selected by the European Commission as the official delegate for the management of this Fund. Based on its contribution to the establishment of the fund, peacefulfish acted as the European Commercial Agency, advising the S.G.R. In the framework of the new Creative Europe Programme, the MPGF will serve as a blueprint for the newly established financial instrument “The Cultural and Creative Sectors Loan Guarantee Facility”, to be implemented in 2014. Closing The Gap is an on-going equity investment training and investor pitching session for film, TV, and transmedia producers%u2028offered by peacefulfish, the pan-European investor network Media Deals, and international tutors and investors. Launched in 2010, the program has trained over 100 international producers in collaboration with co-financing and co-hosting partners including the MEDIA Programme of the European Commission, the Apulia Film Commission, the Mallorca Film Commission, the Western Norway Film Commission, and the Investitionsbank Berlin. Of the projects that have taken part in Closing The Gap to date more than 30% have received investment or commitments of investment related to their participation in the program. The Closing the Gap workshop offers capacity-building for producers, helping them to better understand the investment criteria and deal terms of different types of equity investors (venture capital funds, business angels, and business angel networks) developing strategies for pitching to these investors building added-value in projects through exploring their cross-platform potential. two on-site workshops then focused on the interaction between the financing experts and the selected producers/transmedia projects, including case studies for transmedia business models and the equity investor landscape in relation to the film & TV industry. Through the workshop, participants improved business plan development and gained a better understanding on equity investor types and deal terms. Digital Alfie is a MEDIA pilot project aimed at deploying interconnected online audience communities to support local cinemas and promote European content. Digital Alfie aimed at implementing online communities at 13 independent cinemas in Europe (FR, UK, NL, DE, AT, PL), interconnect them and use them to attract people to local cinemas. The project rational is to facilitate communication among local communities that can ignite loyalty for the local cinema and motivate people to discover European content they would not have been aware of otherwise. In a pre-project phase, the consortium worked on identifying service packages with the potential to enrich the cinema-customers' experience. The result was a concept of digital services that combined customer relationship management, exclusive content offers and advantages from the online and offline world. Digital Alfie aimed at testing these concepts and business models. Participating cinema’s situations have been analysed, local catchment area fall-outs determined and which channels would be the most efficient to access these areas. A community platform for the participating cinemas was established, including a blog, cross-community events, target campaigns to local key communicators (e.g. cinema clubs, local cultural-/ film- related societies, but also non-industry stakeholders), mobile interactivity and peer-recommendation tools. An educational package then singled out European content with critical and audience acclaim and was marketed accordingly in the local online cinema communities. Support transparency regarding audiences’ film preferences for distributors and exhibitors, and promoting the exchange and monetisation of European content for the local cinema. The study provides an in-depth portrait of the film banking landscape in Europe in the wake of the fall 2008 financial crisis. Qualitative research was conducted including interviews with representatives from banks, subsidiaries of banks, guarantee funds, private funds, film commissions, independent experts, and film producers resulting in the identification of 5 main film banking services and an illustrated summary of how these services are utilized. This was complemented by data on film production output in 32 MEDIA member countries, which was used to better define the European market for film banking services. After a draft of the study was completed a European Film Banking Roundtable was organized, allowing for direct exchange with film bankers active in the market in 2009. Following feedback from the bankers, the study was finalized including a set of recommendations on how best to support European film producers with regard to accessing bank loans. As a result of these recommendations, the MEDIA Production Guarantee Fund was established by the MEDIA Programme of the European Commission in 2010. A quantitative research was conducted, including a survey of the production output of the 32 MEDIA countries of the European Union using data from sources, including the European Audiovisual Observatory and the local MEDIA Desks. Qualitative research followed, including interviews with representatives from banks, subsidiaries of banks, guarantee funds, private funds, film commissions, independent experts and film producers resulting in the identification of five main film banking services and an illustrated analysis of how these services are being utilised. The final step was the organisation of a European Film Banking Roundtable, which allowed for direct, on-the-ground exchange with film bankers currently present in the market. Financial institutions in one country typically do not lend to production companies based in another country primarily because of the lack of a cross-border legal framework for institutions to access and evaluate the financial track records of foreign production companies. The recommendations of this study for a pan-European Guarantee Fund, contributed to the creation of the MEDIA Production Guarantee Fund, in cooperation with the European Commission/ MEDIA programme and the Audiovisual SGR bank. The Apulia Film Commission contracted peacefulfish to carry out a strategic positioning study on how they can strengthen the regional film industry in Apulia as well as become a more significant player not only in Italy and Europe but globally. An in-depth analysis of the current state of the Apulian film industry was conducted considering key points such as film production output, distribution infrastructure, the availability of public support, and the availability of professional training. Additionally, how to raise Apulia’s profile in Italy, in Europe, and globally was mapped out. Specific attention was given to the potential inherent in creating financial instruments that would attract international film productions to shoot in Apulia, which would not only bring investment into the region but would also build the capacity of local producers and crews. The study concluded with a set of recommendations that the Apulia Film Commission has implemented over the years to become one of the leading film regions in Italy and Europe. Film London contracted peacefulfish to prepare a study on the effects of the 2006 version of the UK tax credit on co-productions with continental Europe as well as with countries outside of Europe, including the United States. Analyzing the criteria to access the tax credit as well as the changing investment criteria of the UK’s national and regional public funds in comparison with tax incentives and public funds in Europe, the study provided quantitative research and qualitative data in the form of interviews with UK and European film industry players about a decrease in UK-European co-productions since the introduction of the tax credit. The study also postulated the reasons behind this decrease and offered a set of recommendations on how to stimulate UK-European co-production at the institutional level. Film London’s Production Finance Market has grown into one of the key film industry events in Europe, matching international producers with financiers including distributors, sales agents, post-production houses, studio facilities, public funds, private investors, etc. Film London contracted peacefulfish to assist in the market’s conception as well as the launch of the inaugural edition in 2007. Since then peacefulfish’s relationship with Film London and the Production Finance Market has continued annually, with peacefulfish providing strategic consulting on the market’s organization including promoting the event to international producers, inviting select European financiers, and moderating special sessions focused on equity investment and the added value of cross-platform production during the market itself. Description In 2007, peacefulfish carried out a strategic analysis for Estonian Film Foundation (EFM) positioning Estonia within the European media landscape, establishing a digital centre cluster in Tallinn. For the 2012 study, peacefulfish conducted a serie of interviews with Estonian producers and professionals in film, TV and commercials and non-Estonian producers and film professionals from UK, Finland, Russia, Latvia and Sweden, complemented by an analysis of relevant literature and SWOT outlines. 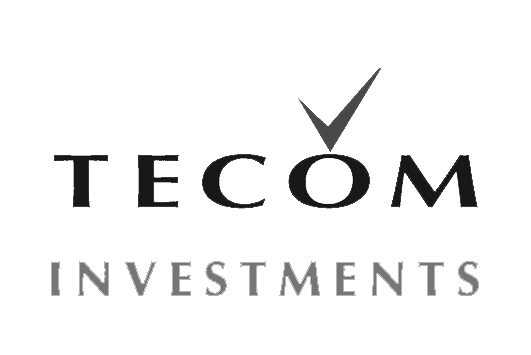 Contracted by Tecom Investment, peacefulfish prepared a benchmark study evaluating the service offer to international producers that Dubai Studio City had developed. As part of the study, other international studio offers were researched and compared and contrasted with Dubai’s offer. Additionally, the potential to develop financial instruments for both domestic and international film productions as well as to create an incentive model for production spend in the country were investigated. Recommendations regarding the offer and the creation of additional financial instruments were presented in the context of making Dubai Studio City’s positioning in the international market more attractive. 2007 - 2012 | Croatian Audiovisual Centre, Estonian Film Commission etc. peacefulfish carried out conceptual analyses, qualitative research and market intelligence for a number of public institutions, to support regional development through tailor-made financing tools or financial incentives for the creative industries. With the backdrop of the substantial investment the digitisation of screens, the study examines new digital and digitally enhanced services that can create new revenue streams for cinemas and their partners. The research methodology is based on the experience pyramid and consists of literature research, expert interviews and focus groups. Covering a range of areas, from exhibition to advertising to mobile communication and interactive TV to the actual cinema audience, the report identified the needs of different stakeholders and analyses where synergies can be created and new potentials can be revealed. - to elaborate funding options for possibly new actors to join Estonian Film Institute, as the Tallinn Film Fund and the Estonian Film Fund. In 2007, peacefulfish carried out a strategic analysis for Estonian Film Foundation (EFM) positioning Estonia within the European media landscape, establishing a digital centre cluster in Tallinn. For the 2012 study, peacefulfish conducted a serie of interviews with Estonian producers and professionals in film, TV and commercials and non-Estonian producers and film professionals from UK, Finland, Russia, Latvia and Sweden, complemented by an analysis of relevant literature and SWOT outlines. peacefulfish assisted the strategic reflection process of the Film Commission Norway, through a Norwegian Budget Comparison Study on hard costs and the soft factors (tax incentives, funds, service offers) of shooting a feature film production in Norway versus other competitive European locations. peacefulfish developed a strategy to develop Norway’s Competitiveness in the international Film Production Market. Based on selected examples of the European and International film production market (and comparative analysis) a series of strategic recommendations, suggesting a step-by-step approach was recommended. The measures suggested, included workshops with international film professionals, regional, national and international measures, helping to consolidate network and partner basis.